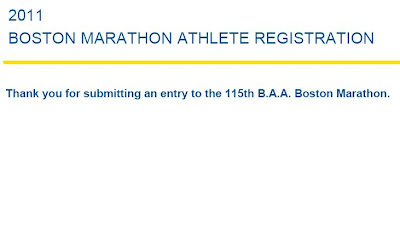 180 days until the Boston Marathon. 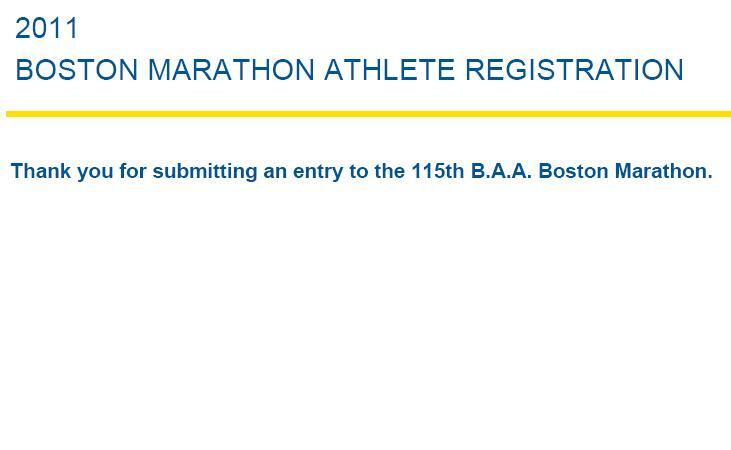 Yesterday I registered. I wanted to be sure I got in, and attempted to register as soon as the online site opened. It wasn't working, and I retyped my details on the entry form, submitted them, and had them erased repeatedly. I could see from the twitter feed that others were having the same problem - likely the Boston Athletic Association's servers were pretty busy. Eventually, after more than an hour, my wife was able to get my form submitted. I see this morning that registration is full, so this effort was worth it. Can the race be full already? Wow. The two weeks since the Loch Ness Marathon have been pretty light, running-wise. I did 5 or 6 miles in total the week after the race, and then caught a stomach bug that was working its way through my family. I didn't run for 5 days, perhaps the longest break I've taken from running in a year or so (excluding my backpacking trip). I ran this past Friday, Saturday, and Sunday, getting in about 19 miles all told.